There’s a sense of satisfaction in the oppressed and downtrodden obtaining power of their own. After all, everyone likes a good underdog story, and it’s nice seeing people shake off chains, burst through societal moors, and embrace their agency to gain independence. Yet there’s a tinge if underlying terror in that concept too: breaking free from oppression is one thing, but turning around and oppressing others with new-found power? That draws the fine line between justice and vengeance. Dark Horse’s upcoming one-shot story The Quiet Ones explores that concept, but it also has something else going for it: a sense of empathy. So while the story of marginalized children getting cosmic power can tackle some tough subjects, creators Chuck Brown and Jeremy Treece look to be keeping an optimistic perspective on their story. Check out the details below. MILWAUKIE, Ore. (April 11, 2019)—Join acclaimed writer Chuck Brown(Bitter Root, The Punisher, Black Panther) and artist Jeremy Treece (Angel: Season Six, Fantastic Four) as they explore what it means for young, marginalized children to suddenly find themselves in possession of a great, cosmic power in a new Dark Horse one-shot, The Quiet Kind! 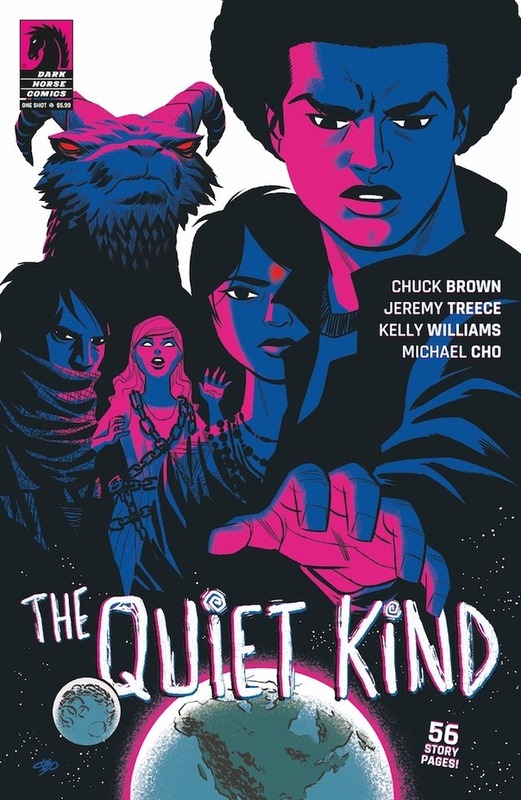 The Quiet Kind will hit comic shops and digital retailers on July 17.